It is especially for patients requiring chronic wound treatment, such as foot ulcers and bedsores, who have to make frequent trips to hospital. 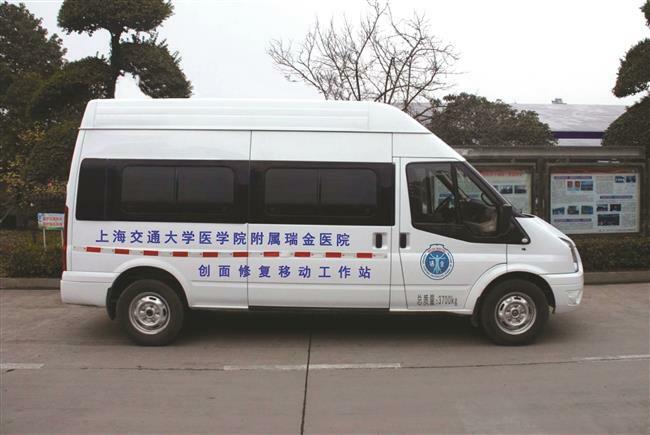 Four vehicles are to be converted into mobile clinics for small-scale surgery and medical treatment, Ruijin Hospital officials said at a weekend forum on burns treatment and care. These vehicles will serve community hospitals, nursing homes and can visit patients at home. It is especially for patients requiring chronic wound treatment, such as foot ulcers and bedsores, who have to make frequent trips to hospital. China handles about 100 million wound treatments every year, with about 30 million of them complicated. In addition, a large number of elderly people in nursing homes have bedsores. The vehicles will be fully equipped and an online network will be established to offer consultation and guidance for doctors on the spot, Lu said. “The vehicles will be put into use in six months. If it proves successful, we will expand the service to benefit more patients,” he said.